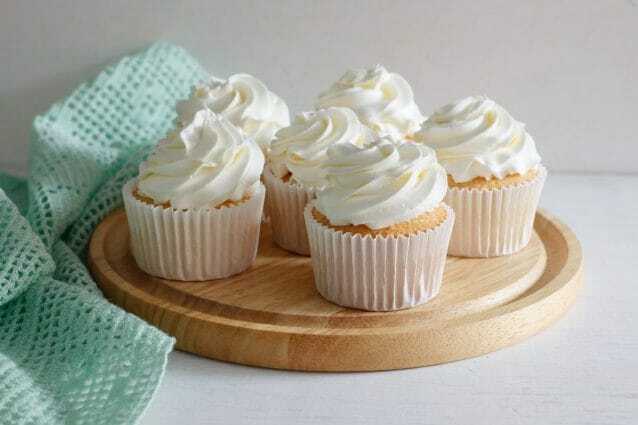 White cupcake is a simple and beautiful cake that is perfect for any occasion. Full of wonderful vanilla flavor, this cake pairs perfectly with any type of frosting or filling. This recipe will work great for cupcakes, full sized cakes or mini cupcakes. You can even use this recipe to make a gorgeous white wedding cake! The best part is that it will only take you a few minutes to throw the batter together giving you lots of time to plan how to decorate and fill this cake! Using a stand mixer with a paddle attachment, cream the butter, shortening and sugar together until the mix is light and fluffy. Scrape down the sides of the bowl as needed to fully incorporate all the butter and shortening into the mix. Add the eggs and vanilla and mix again until all the ingredients are fully combined. Add the flour, baking powder and salt to the bowl and mix slowly until a nice batter forms. Again, scrape down the sides of the bowl. Slowly add the buttermilk to the cake batter, a little at a time, scraping down the bowl frequently to ensure the batter doesn’t break. Ice the cake as desired once it has cooled and serve! -Add some rainbow sprinkles to the cake batter for a perfect funfetti cake! Great for kids or any festive occasion. 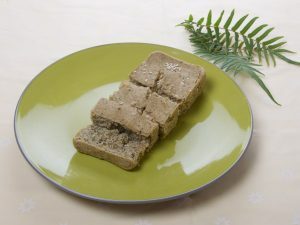 – If you are making a large cake, you can use this recipe and bake the cake completely the refrigerate it for up to a week before icing and eating. Cupcakes will stay good at room temperature for about 5 days as well! How to make a Cake with Cupcakes!